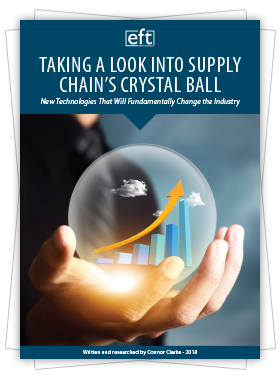 Download eft’s latest report that uncovers the true depth and applications of new technologies bound to change the industry. This report, divided into three separate sections, features technologies being implemented by early adopters, technology in development, and even technologies that are mostly theoretical. We also highlight specific companies working on the cutting-edge and individual success stories within particular industries. With this knowledge, we hope our readership will not only be prepared to take full advantage of the changes coming but will be those leading the innovative charge. IoT is expected to have an economic impact of between $4 trillion and $11 trillion by 2025. Talent shortages - Cisco predicts a shortfall of 300,000 works with IoT relevant skills in industrial and operational settings, what does this mean for the industry moving forward? Get in touch directly with either of the project directors if you have any issues downloading the content or want to discuss the report further.